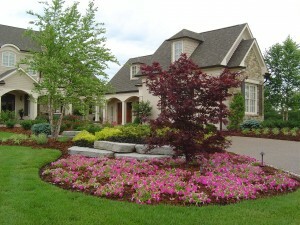 The Daniel Fischer Landscape Nursery team is dedicated to your satisfaction. Your experience will start with a one-on-one meeting with Mr. Fischer. He will talk to you about your priorities, check your sun exposure, do a soil test, look at any drainage problems you may have and discuss any architectural elements that need to be addressed. After listening to your ideas, Dan will develop a plan based on your budget that includes a design sketch and all cost estimates. The design will be precise and easy-to-follow. He will review the plan with you and adjust to make sure your needs are met. When the plans are finalized your work will be scheduled. When the project is finished, you can expect your walks and driveways to be clean and your hoses coiled back in place. Our crews treat your property as if it were their own. We take pride in our work and want you to feel you have had the best service in town.